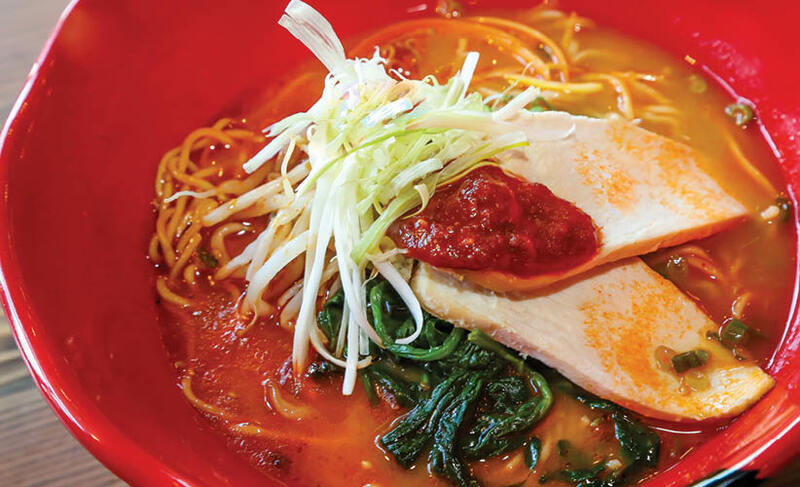 It would not be a stretch to say diners in the DMV are hopelessly in love with ramen. Consequently, when Jinya Ramen Bar opened up in Mosaic District, there was a lot of excitement. Of course, many restaurants enjoy a buzz when they first open, but with Jinya Ramen Bar, it’s fair to say that the enthusiasm has not worn off. Stop in for a weekday lunch, and virtually every seat is taken. Diners eat at the bar, and give their names to wait for a table. So, what’s all the fuss about? Located between Alta Strada and Matchbox, near the Angelika Film Center, Jinya is smack in the middle of the beating heart of this growing neighborhood. 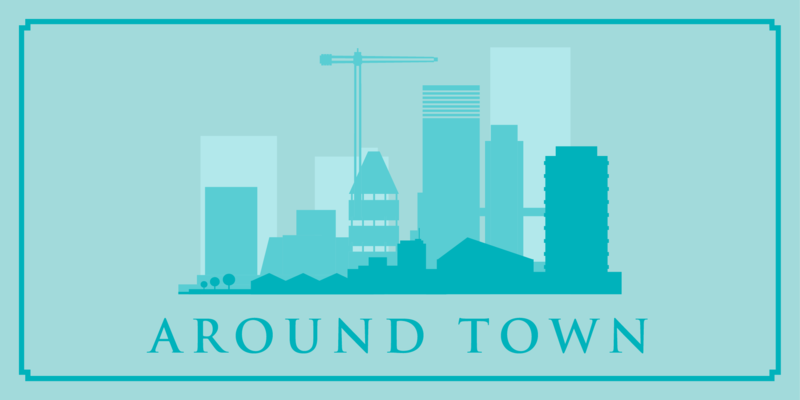 The Mosaic District’s restaurants and stores are attracting customers from local office buildings, people living among the jumble of condominiums, and those pursuing a lively place to shop and eat. And despite all the excellent choices here, Jinya has definitely amped up this community’s lunch game. What should you know about ramen? Ramen is considered Japanese comfort food. Though, the soup originated in China, it has become one of the most popular dishes in Japan and Taiwan. 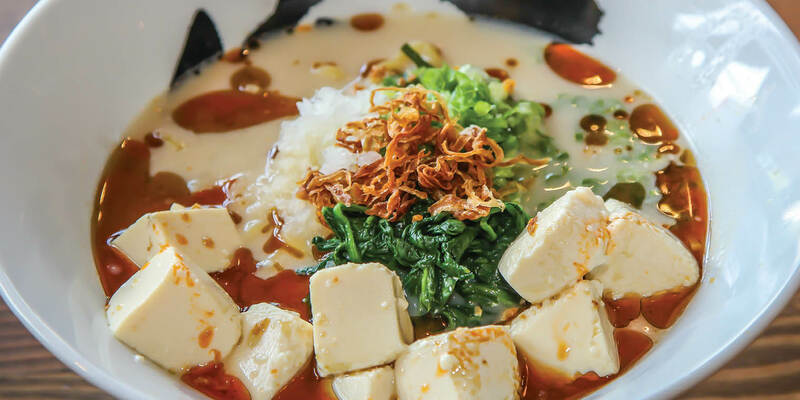 Ramen is usually budget friendly, and offers a number of variations including vegetarian versions. Ramen is typically served with ingredients like Chashu, or fatty slices of roasted pork. But there’s also Kakuni, or braised pork belly. Bamboo shoots, called Menma, give ramen its salty flavor. You’ll rarely see ramen without Negi, or chopped green onions, although some people swap onions for leeks. Moyashi are the raw and cooked bean sprouts which give ramen its crunch. Tamago, or boiled eggs, are commonly added, along with seaweed called Nori or Wakame. There are multiple kinds of broths too. Shoyu is a soy-sauce-infused broth usually made from chicken, and that is what you’ll find in Jinya’s “Old Skool” ramen. Shoio is a salty, clear chicken broth, while Miso broth is flavored with soybean paste. Miso is typically thicker, with a rich complex flavor. Tonkotsu is cloudy white broth made from pork bones and pork fat. 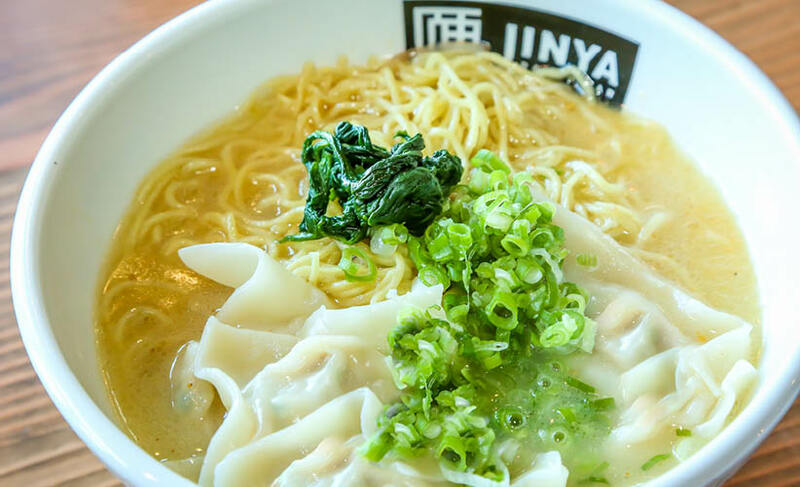 “The Tonkotsu Spicy and Tonkotsu Black, both made with our signature pork broth and simmered for over 10 hours, are JINYA’s most popular ramen,” Rana states. Along with traditional Japanese ramen, Jinya also serves modern Japanese dishes and beverages. Their small plates include fried tempura-battered vegetables; my favorite side is Jinya’s Brussel sprouts. I can’t get enough of those crispy cruciferous treats. The shareable pork Gyoza are crisped in a pan and served with gyoza sauce, which is traditionally made from rice vinegar, soy sauce, ginger, garlic, chili flakes and sesame oil—a combination that renders it both tangy and sweet. Another standout is Takoyaki, a common street food in Japan. 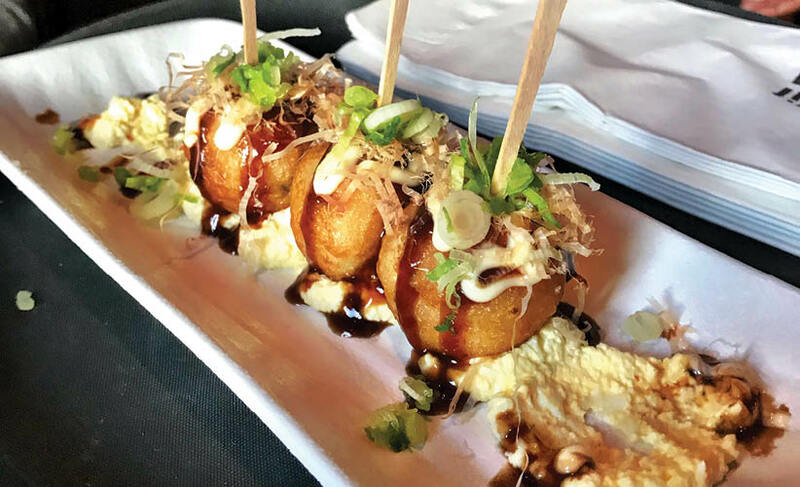 The Instagramable appetizer consists of battered and fried diced octopus on a stick, served over egg tartar with colorful toppings—fried tempura noodles, kewpie mayo and smoked bonito flakes. For those seeking lighter selections, Jinya offers tasty salads like the Jinya Quinoa Salad, Spicy Tofu Salad and Seaweed Salad. 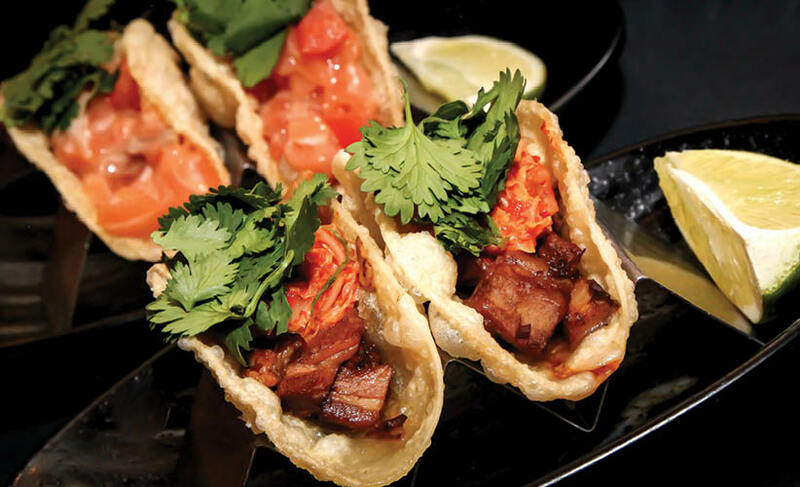 The menu also features Jinya’s mini-tacos, which contain salmon poke, pork Chashu with kimchee, and spicy tuna, all encircled in a crispy wonton shell. Other satisfying choices, on days you don’t feel like slurping, are Jinya’s rice bowls. These contain an assortment of ingredients including chicken, beef and seafood garnished with egg, onion, spinach and sesame seeds. Jinya’s Tokyo Curry Rice Bowl is comprised of ground chicken in a spicy curry sauce. Jinya offers decadent crispy chicken tenders during happy hour. The white meat chicken is encased in crunchy batter with Ponzu sauce on the side. You can accompany their sake cocktails with a bowl of wasabi peas or salty edamame. My favorite snack is the Jinya Bun, pork Chashu with baby greens wrapped in a spongy roll. Jinya Ramen Bar is truly a festive experience, but prepare to wait unless you get there early. Happy slurping!